Join us for our monthly meeting on Tuesday, May 9 from 6:00PM to 7:45PM, at the Ventnor Library, 2nd floor (6500 Atlantic Ave., Ventnor City, NJ 08406), where we will host a showing of the newly released documentary, The Smog of the Sea! We will discuss on-going campaigns such as: Rise Above Plastics, OFG (Ocean Friendly Gardens), OFR (Ocean Friendly Restaurants) and upcoming events such as: Hands Across the Sand, the May beach cleanup, and International Surfing Day. The potential Ventnor bag ordinance will be discussed as well. Highlighting the meeting, the documentary film, The Smog of the Sea, will be featured. The Smog of the Sea chronicles a one week journey through the remote waters of the Sargasso Sea. Marine scientist, Marcus Erikson invited onboard an unusual crew to help him study the sea: renowned surfers, Keith & Dan Malloy, Jack Johnson, musician an environmental activist, spearfisher Kimi Werner, and body surfer, Mark Cunningham. Using super-8 footage, sparkling underwater cinematography, an original score by Jack Johnson and shipmates Simon Beins. 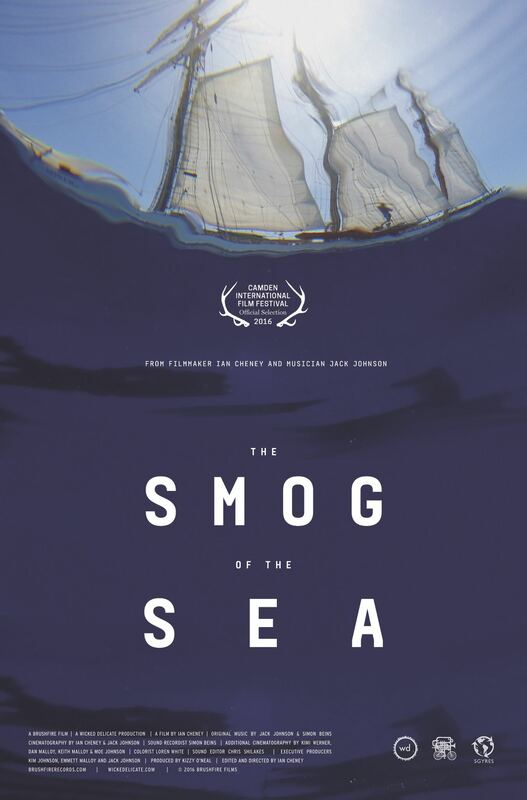 Please join us for the screening of The Smog of the Sea, which makes an artful call to action for rethinking the scourge of the sea – SINGLE-USE PLASTIC! Don’t forget, there is still time to win tickets to Jack Johnson’s concert in Camden on June 10th!